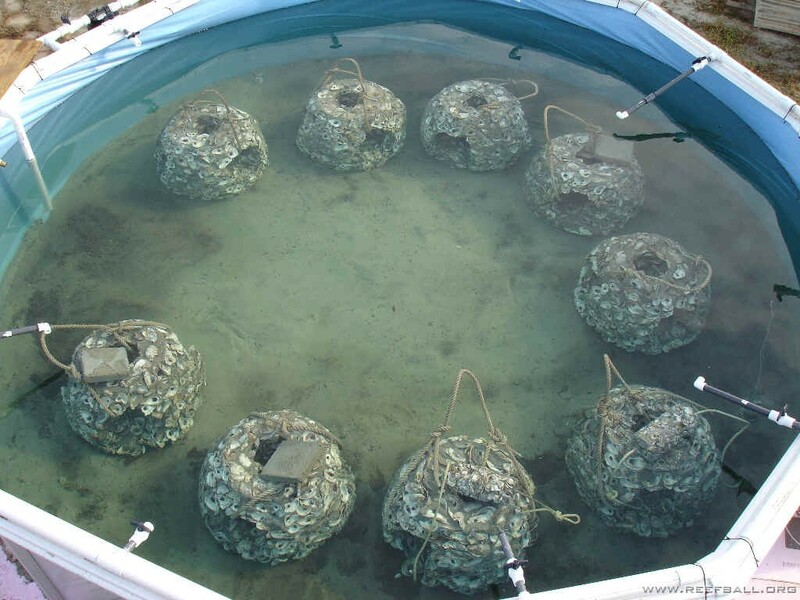 Reef Innovations is involved in many projects Restoring Oysters across the United States and world. 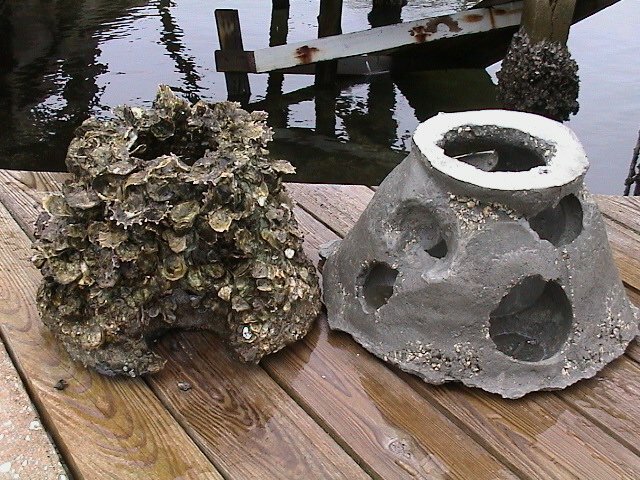 The marine grade concrete with special additives for proper Ph balance, has proved great for growth of oysters. Planning your project is important, be sure to contact Larry Beggs early in the planning phase to make sure you up on the products and techniques that will work best in your area. 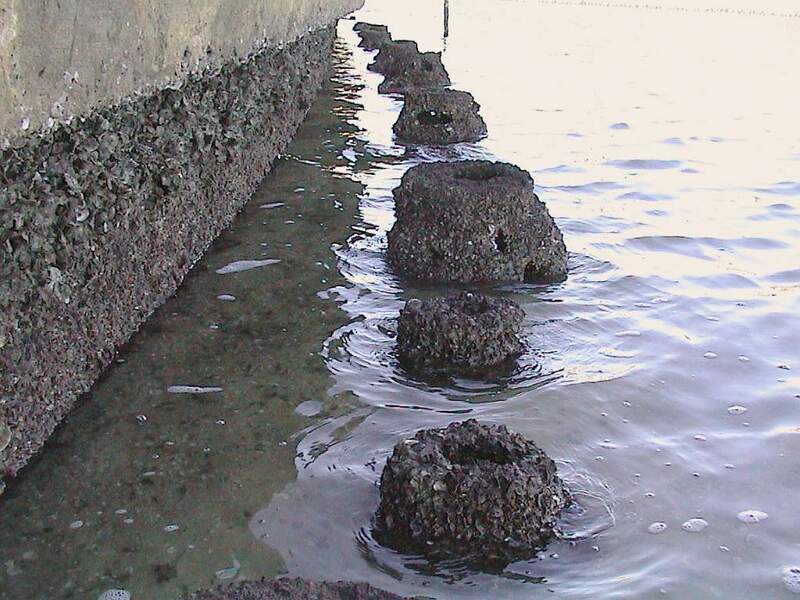 Placing Reef Balls along an existing seawall help to absorb wave action, protection the sea wall from failure as well as creating EFH (essential fish habitat) an in the right salinity an natural oyster habitat. In a matter of months oysters are growing in the under dock habitat. 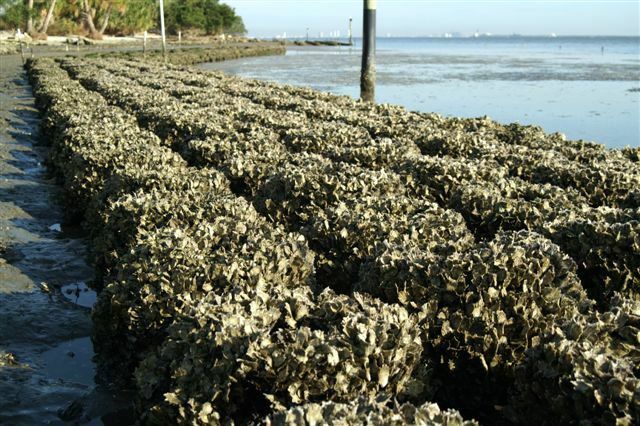 Four rows of oyster balls have created a breakwater along McDill Air Force Base in Tampa Bay. Within a few years there is tremendous oyster growth and accretion of sand. Don’t forget the value oysters provide by filter the water thus improving water quality, this is also a great place for Juvenal fish. In some situations spat are seeded prior to placement in estuary, thus helping to re-establish oysters. 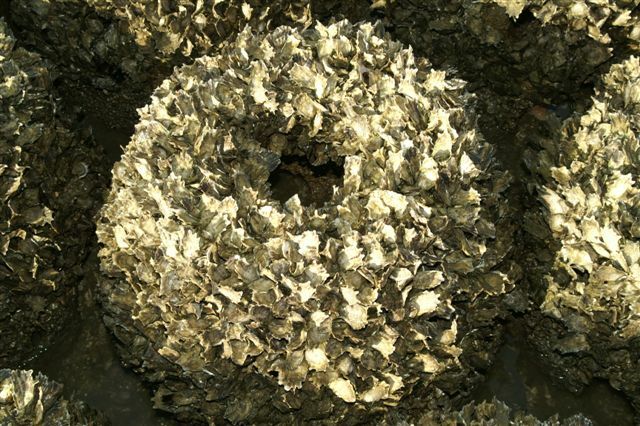 Posted in Oyster Projects, Shellfish Restoration	| Comments Off on Could oysters sequester carbon? Posted in Maryland USA, Shellfish Restoration	| Comments Off on Survey of Reef Balls find blue crab.